This article is contributed by Smriti Pandalai (Batch 2015-17).Smriti is a part of the JEdi ( Junior Editor) team for 2015-16. Today, we live in the era of BIG DATA being the most talked about concept in the corporate world. The Pune chapter of the National Human Resource Development Network (NHRDN) organized a workshop on HR Analytics at Symbiosis Institute of Management Studies, Khadki on 11th September 2015.The day long workshop comprised of various sessions conducted by keynote speakers across sectors who delved deep into this hidden goldmine of information. Mr.Girish Palshikar, leading the Machine Learning R&D Group at TCS spoke of domain driven data mining techniques that take advantage of domain knowledge and thus deliver novel, actionable insights to improve workforce management, understand and deconstruct responses to employee satisfaction surveys, create attrition models and address performance related issues. Analytics are critical to HR operations and workforce effectiveness and this was discussed in elaborate detail by MR. Anand and Mr. Sudhir Rao from IBM. Attrition analytics has helped IBM save 100 million dollars and suggest recommendations after identifying job families where the risk of attrition is moderate to high. The speakers also elaborated on their solution – Talent Insights which is based on Watson analytics that understands HR constructs thereby painting a story that helps you think ahead and address challenges in the areas of recruitment, workforce management and the likes. The role of research powered by statistical methods and tools is integral to effectively using data to arrive at constructive implementation in the HR function. These principles were highlighted by Mr. Chandramouli Srinivisan, the Vice President of Feedback Business Consulting. He spoke of the need to articulate the specific hypothesis with as much clarity as possible in addition to highlighting the relevance of T tests, cluster analysis and factor analysis in the field of HR analytics. Today despite a plethora of statistical tools available, the challenge lies in terms of the quality of data and thus the manner in which this data is interpreted. Mr R.Pazhanikumar, Associate Director, KPMG, spoke of incorporating people, process and technology within the troika of strategy, vision and values that must be in sync. Further, he elaborated on the 5 level People Capability Maturity Model which is an integrated approach to HR Management. His session was interspersed with anecdotes and real world examples that correlated business data with people data with an emphasis on competency linked to various HR disciplines. In the present business environment, it is essential to benchmark and see where things are going and where there lies a scope for improvement. In this context, Ms. Supriya Thankappan, Principal Consultant at Cerebrus Consultants, spoke of the Analytics Maturity Model and the various steps involved in the Analytics Process including exploring data, defining the business needs and thus predicting what is likely to happen which facilitates making the decision and measuring the outcome. This was the last session of the day though it witnessed enthusiastic participation of the audience in the case study analysis resulting in a very engaging discussion. The day long workshop saw wide ranging discussions across the spectrum of the fascinating field of HR Analytics from a multitude of perspectives. Without a doubt, the audience comprising of eminent HR professionals and MBA students gained a lot of valuable of insights in the dynamic realm of Human Resources. As part of the 360 degre e lecture series, the MBA batch of 2015-17 was fortunate to be addressed by the eminent banker-turned-politician Ms. Meera Sanyal who until recently was heading the banking giant Royal Bank of Scotland. Ms. Sanyal initiated her talk in a very spontaneous manner getting the audience to first point out the facets that they would like to have further insights on. She highlighted a fundamental ideal that all of us are essentially the product of our roots and hence the defense background that we hail from teaches us to land on our feet. Recounting an anecdote from her MBA days, she spoke of the struggle she went through while appearing for several rounds of scholarship interviews in preparation to go to INSEAD, Paris whilst studying at IIM-Calcutta. This was also the moment she realized the importance of Indian family values and her family played a crucial role in supporting her through her struggles in this difficult time. It was after her stint in Paris that she decided to come back to India and appeared for interviews in 200 companies in a span of 6 months but did not get through any one of them. 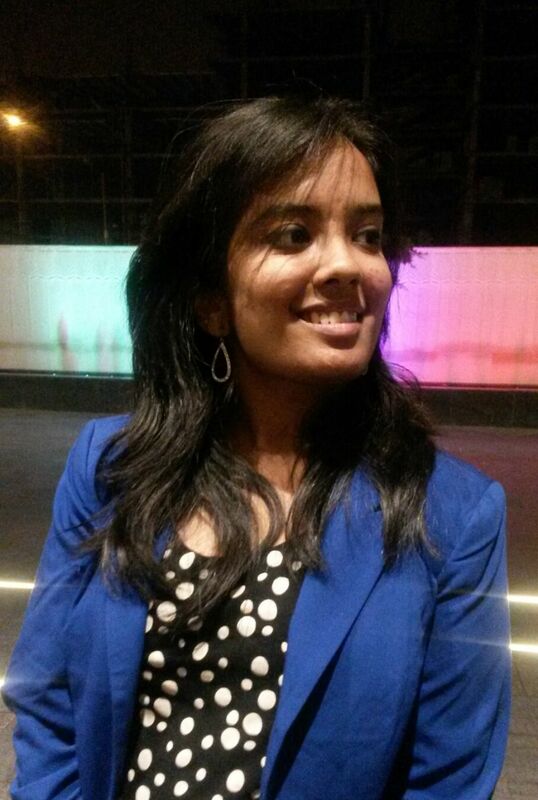 She then revisited IIM Calcutta and landed her first job in Grindlays Bank, Calcutta. It is then that she learnt a valuable life lesson – choices will always lead you to, where you need to go. 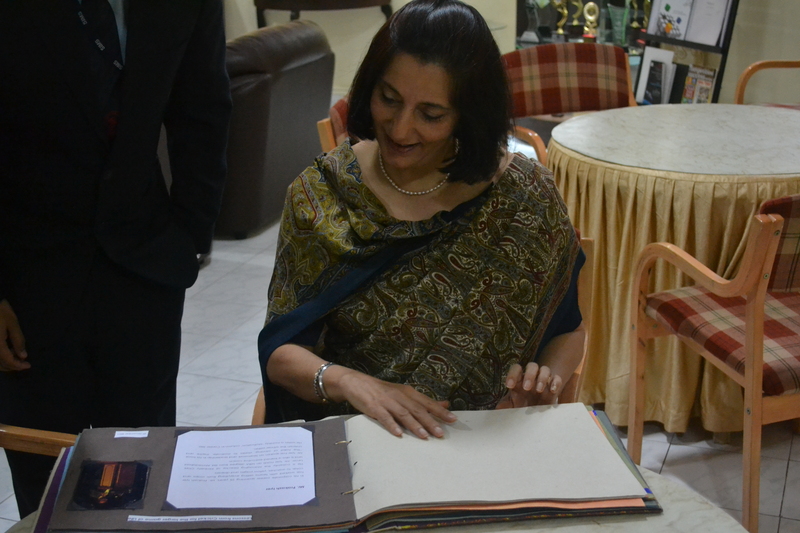 Ms. Sanyal spoke fondly of her parents as her inspiration. Her father who had served in the Indian Navy had always encouraged her to come back and serve the country. And that was an ideal she tried to incorporate during her tenure in RBS when she decided to launch the BPO arm. This was the turning point in her career where such an opportunity generated employment for the children of the misplaced mill workers in Parel, Mumbai and was a very successful venture. She always believed that the troika of financial, political and social empowerment had the power to transform not just an individual or a family but an entire village and thereby the society at large. While her mother had made her realize that one cannot always do what one likes, but one can certainly like what one does. During her time in RBS, Ms. Sanyal always ensured that the projects that were financed met certain political, social and environmental norms. And this was a principle she carried forward while making her foray into the political sphere too. The decision to do so was largely based on her experiences during the 26/11 terror attacks in Mumbai when some of her employees were trapped in the RBS office. This episode made her stand up and do something about the situation at hand. She further opined that public life is not necessarily politics, but rather about serving and building a cooperative society. Addressing a question on corruption in the political domain, Ms. Sanyal believed that before entering the world of politics, one must ensure that one has the finances to support oneself and stay happy so as to avoid the lure of corruption. Further she elaborated on the need for an enabling environment and technology facilitating flexible policies, which go a long way into making corporate life a long lasting one when it came to women employees. 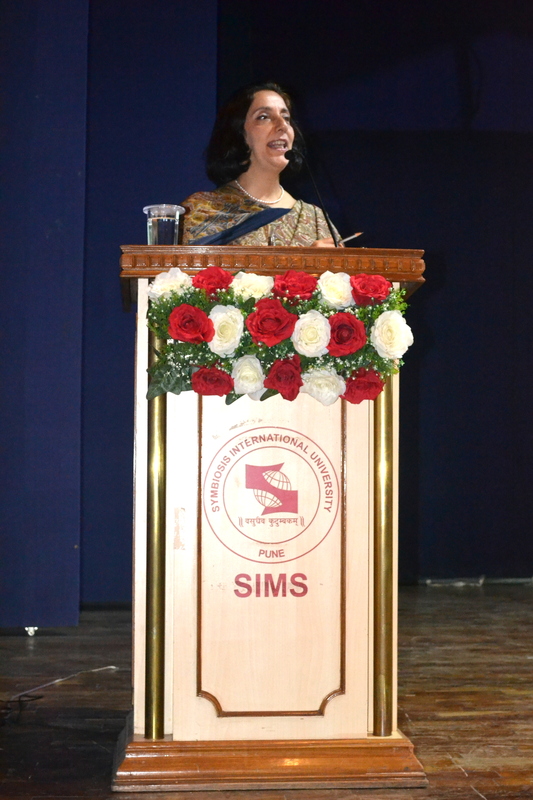 Ms. Sanyal spoke about the importance of a belief that each one of us can make a difference in a democracy and urged the student managers to believe that each one of them has the power to make a difference. She left the audience with a very inspiring thought that she would fight every election and one day somebody like her would win and change the entire structure of the political system in our country.